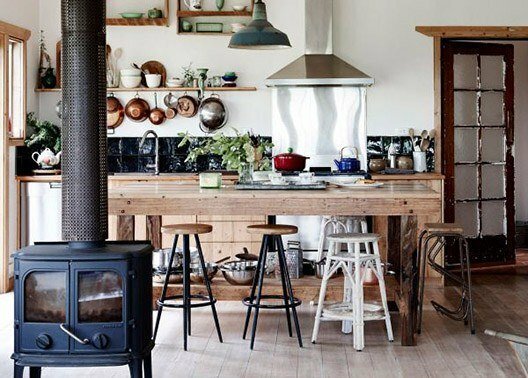 The kitchen has always been a space that had to cater to many different family activities and in recent years has again become the hub of the home. Especially little kids love spending time in the kitchen with mom or dad while they’re cooking and preparing food. They are very curious and want to see, learn and help – by imitating whatever their parents are doing. This joy of cooking and eating are considered by many parents to be an essential skill to teach their children and requires careful planning of the kitchen around this value. But your kids will not remain small for very long, so having a space that can grow with them is essential as well as cost-effective. 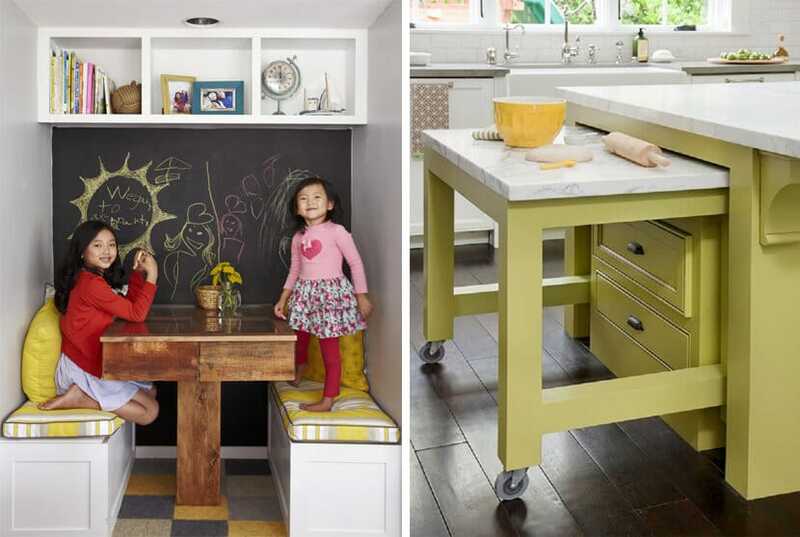 By designing your kitchen with our top 10 kitchen design tips for families with kids, you can create a happy and child-friendly space. There are many different and necessary ways to child-proof your kitchen, from oven and fridge locks to all manner of cabinet guards. But preventing your child from exploring the kitchen safely is preventing them from having a great learning experience. Make the room inviting by giving them areas that they are allowed to explore, with fun colours or elements to make them feel that it is their room as well as yours. The kitchen is a potentially dangerous place, especially while working with hot liquids and the oven or hob. Make sure that you have an area where the kids can observe you without obstructing the work triangle. A kitchen table or an island is a great way to segregate the kitchen into a play zone or homework area on the one side and a workspace on the other, while still allowing your kids to see what you’re doing – and allowing you to keep an eye on them as well! 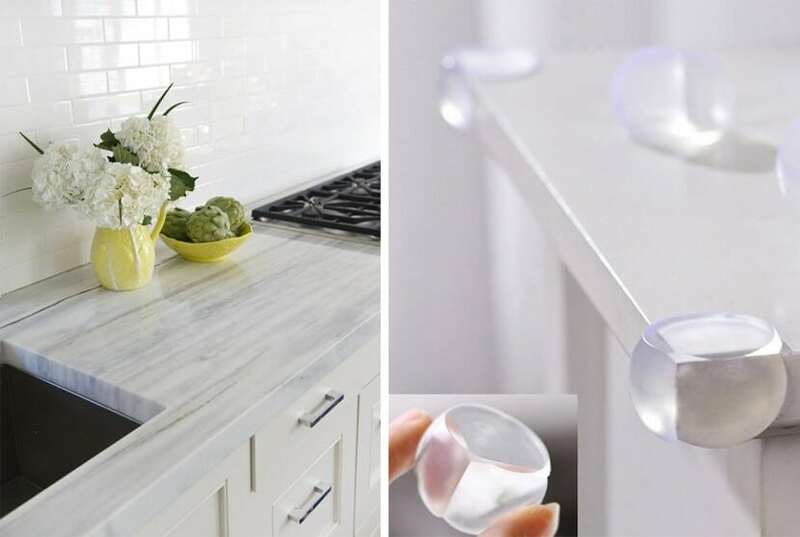 Countertops are difficult to access for little ones and while this might be a desirable trait, you may want to involve them in tasks that would require them to comfortably reach the work surface. 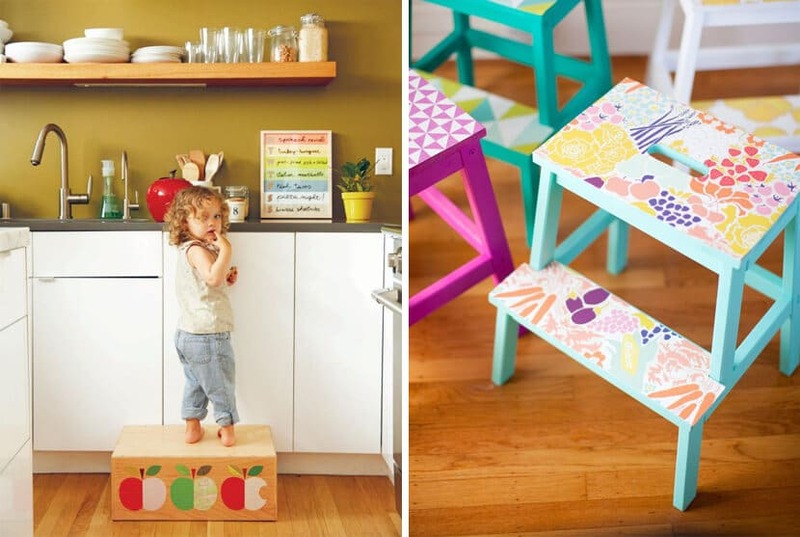 A kitchen stool or step ladder is a great way for them to get up close. A folding metal version could be dangerous for smaller children to manage so it’s best to get a child-friendly version with less chance of fingers getting caught. A step up to the sink is also an easy way to encourage washing of hands, fruit and veggies. Make recycling a life-long habit by involving your little kids in the sorting of trash. 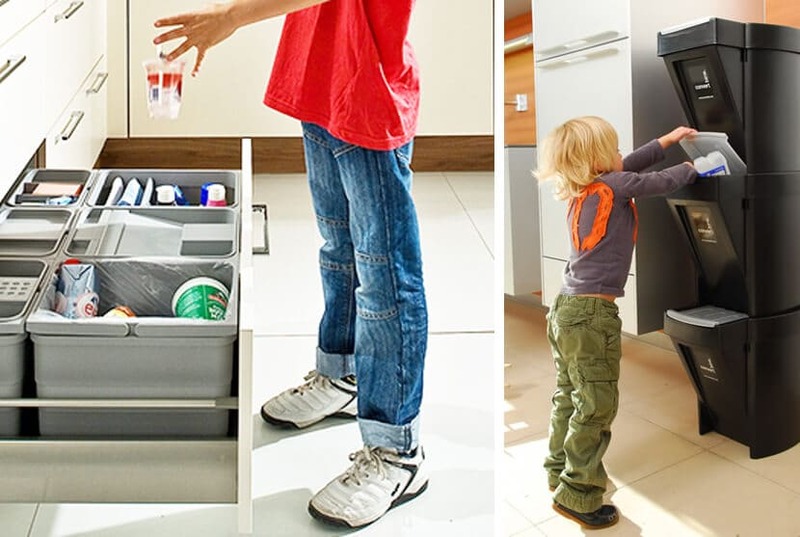 And because recycling bins can add a really fun element to the kitchen, your kids will love it! Make sure that the bins have lids that can seal, and if you are working with glass and tin, be sure to help smaller kids to avoid injury. While your kids are very small, you would not want them touching any of the equipment in the kitchen. But as they get older, they will want to start getting their own juice and snacks, and at some point, even their own breakfast. 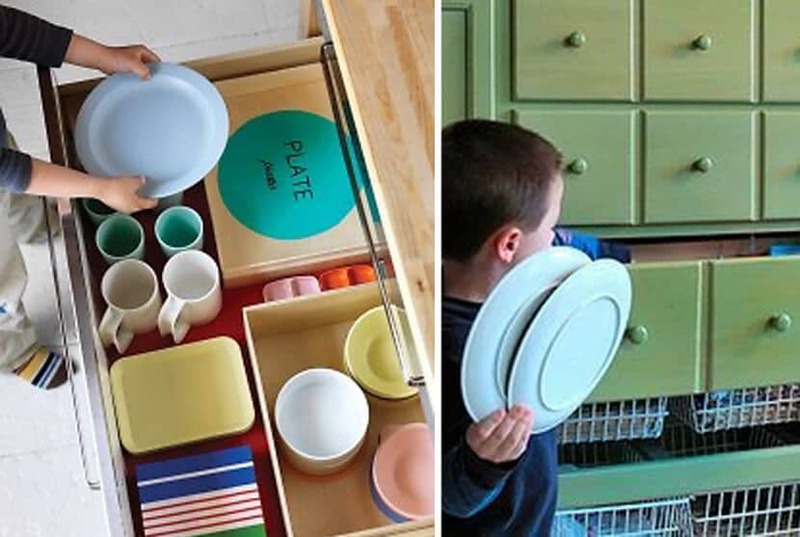 Make sure that you have an easy-to-reach cupboard for their cups, plates, placemats and a plastic cutting board. Also dedicate a base cupboard or low shelf in the pantry where you store their parent-approved snacks and cereals. A bar fridge or under-counter fridge outside of the work triangle is another great way to encourage older kids to feel confident in the kitchen. Alternatively, dedicate one of the bottom shelves or drawers in the fridge to them, stocking it with juice, water and healthy food options so that they may help themselves to an after-school snack. 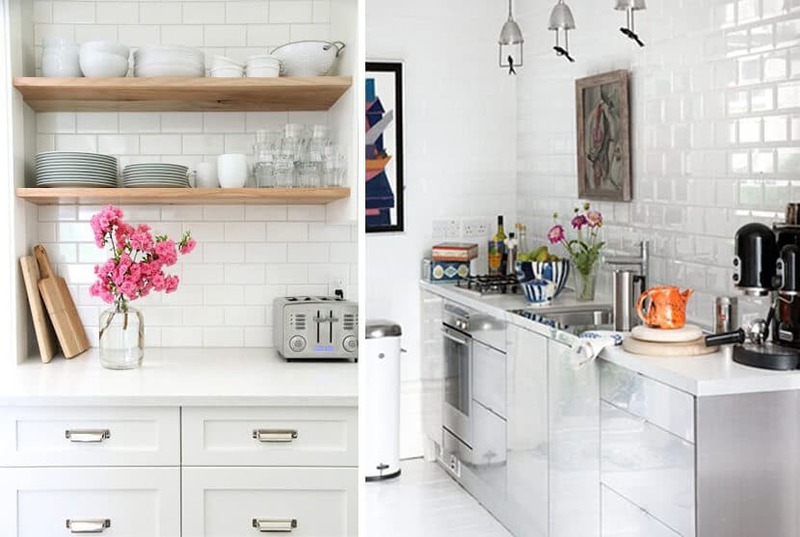 Stainless steel and glass cabinets are beautiful and hygienic, but unless you plan to constantly wipe down your kitchen, they are not the best choice for little hands that want to touch and explore everything. Rather choose wood finishes for drawer fronts and cabinets: they won’t show fingermarks and can easily be cleaned with mild soapy water when necessary. Having the cabinets finished in eggshell or gloss instead of dead flat paint further enhances ease of cleaning. For this same reason, it is also wise to choose white or faux stainless steel appliances instead of their stainless steel counterparts. 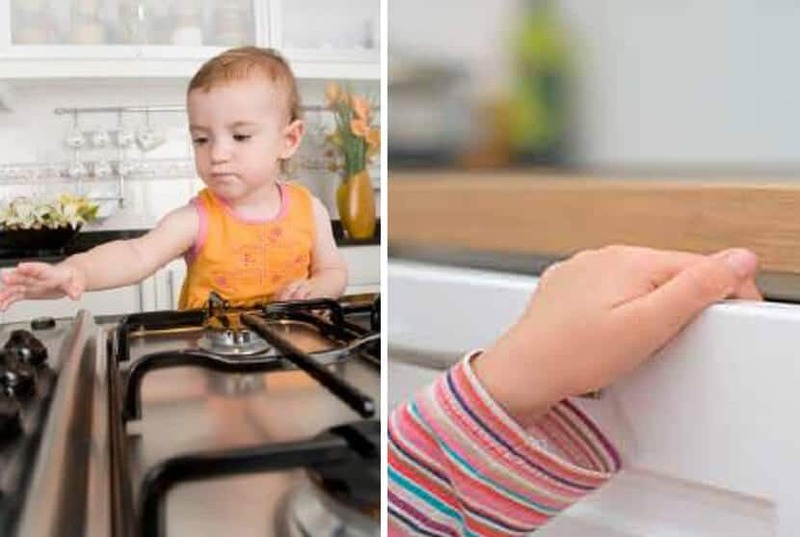 At one point or another, you will find that your toddler’s head is the exact same height as your counter tops – usually because they keep bumping into them. Minimize the risk by ensuring that the corners are rounded or consider installing corner protectors which will significantly soften the blow. The corner protectors are usually made of soft silicone and can easily be removed when the kids are older. Install safety catches only to drawers and cabinets that should not be accesses by little hands, like the ones containing sharp objects or appliances. Häfele has an easy-to-use and very effective catch that can be fitted to all of our kitchens cabinets. Also ensure that cabinets with harmful cleaning products are kept locked with a clever magnetic locking system. Just press a magnetic key against it to release! Soft-closing drawers are another clever solution to prevent little fingers from getting caught when drawers are closed. The drawer guide gives resistance for the last few centimeters before closing, which prevents the drawer from being pushed abruptly and causing injury. 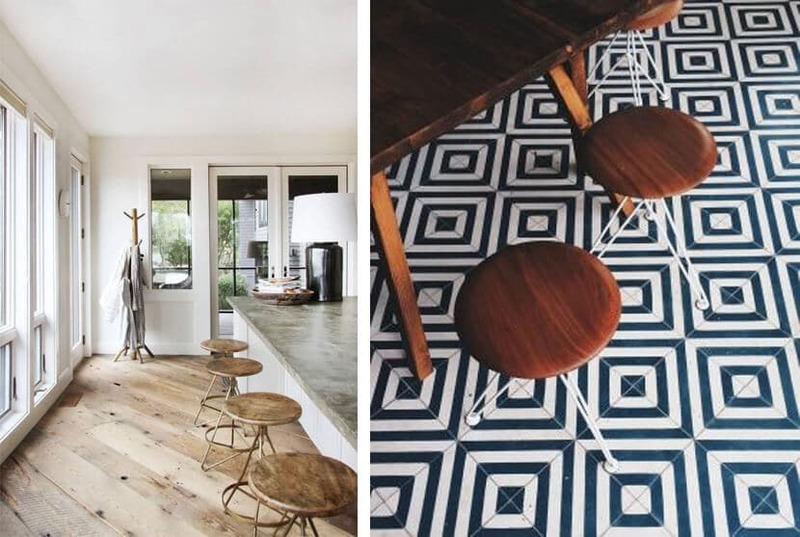 Non-slip floors are essential in any kitchen – even more so when against all of your warnings, there are little feet running around. Avoid high-gloss tiles and rather opt for matte – they are not as slippery and tend to hide dirt better. Vinyl is also an excellent cost-effective option, while bamboo and hardwood floors create a lovely warm atmosphere.